Moto recently launched the six generation devices under its G and E series of smartphones. 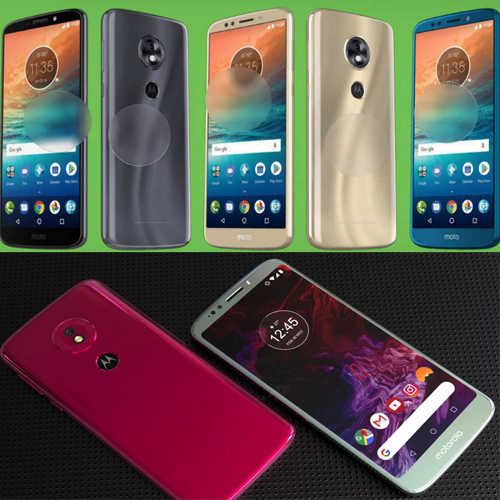 The Moto G6 line consists of three smartphones - Moto G6, Moto G6 Play, and Moto G6 Plus. The company originally launched the smartphones for the US. However, Moto earlier this month confirmed that it will launch the Moto G6 and Moto G6 Play in India on June 4. The company has gone further to share information about the availability of smartphones in India. According to a mail sent by the company to the people who registered for the newsletters of major announcements from the company, Moto has indeed confirmed the launch date of the Moto G6 and Moto G6 Play. Moreover, it has also revealed the online selling platforms for both the phones. While the Moto G6 will be available exclusively via Amazon India, the Moto G6 Play will be up for grabs via Flipkart. However, the pricing of the smartphones has not been revealed.